The Topeka Police Department has requested that the Kansas Bureau of Investigation (KBI) issue an endangered person advisory for a missing Topeka man. The whereabouts of Gary “Junior” Darby-Bey, 27, are unknown. Darby-Bey is a black male, 5 ft. tall and approximately 125 lbs. He has short black hair and brown eyes and walks with a limp. 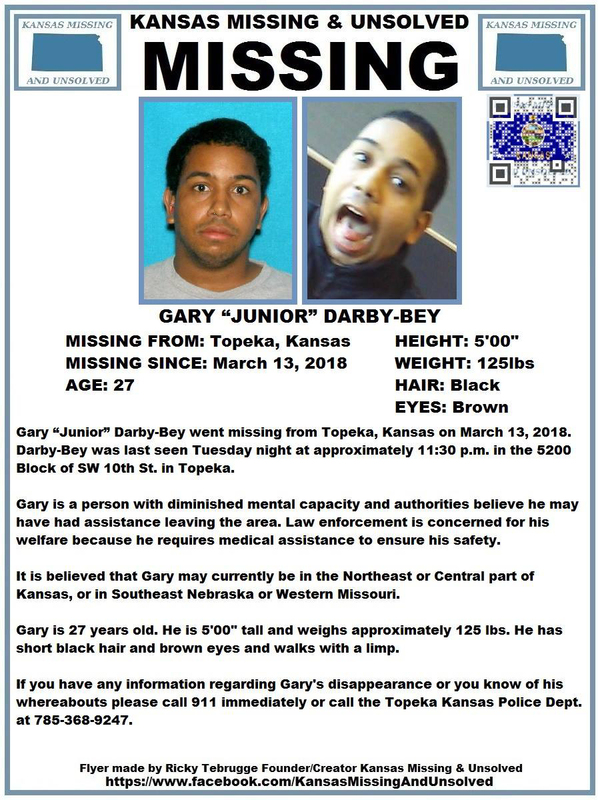 Darby-Bey was last seen Tuesday night at approximately 11:30 p.m. in the 5200 Block of SW 10th St. in Topeka, Kan.
Darby-Bey is a person with diminished mental capacity and authorities believe he may have had assistance leaving the area. Law enforcement is concerned for his welfare because he requires medical assistance to ensure his safety. 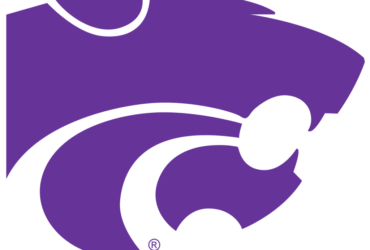 It is believed Darby-Bey may currently be in the Northeast or Central part of Kansas, or in Southeast Nebraska or Western Missouri. The Topeka Police Department asks anyone who comes in contact with Darby-Bey to immediately call 911. However, if other information is known about this case, or past sightings occurred, please contact the Topeka Police Department at (785) 368-9247.